Mid-market enterprises are the focus of Nutanix’s new channel partner program, and the company is also working with its partner Lenovo to make it easier for those customers to access new offerings. 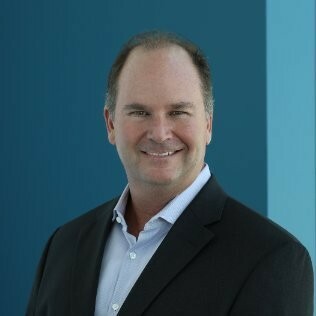 Rodney Foreman, vice-president of global channel sales for Nutanix. The new Nutanix Velocity program is how the company wants to introduce new customers to hyperconverged infrastructure solutions that don’t break the bank, and as part of the program, Lenovo is helping them launch a new hyperconverged software-ready product designed specifically for enterprise customers, called Lenovo ThinkAgile HX Certified Nodes. The Nutanix Velocity channel partner program also offers partners more incentives and opportunities to provide the Nutanix Enterprise Cloud OS software to those mid-market customers, according to Nutanix. Offerings from the HX bundle will give customers choices of software licensing terms and conditions that line up with their business needs, Nutanix explained in a press release. Nutanix wants to move away from traditional partner program incentives that offer rewards based only on revenue achievement, said Rodney Foreman, vice-president of global channel sales for Nutanix. “Legacy channel programs have revolved around benefits based only on revenue achievement, but Nutanix is looking to prioritize and reward partners who invest the most in our business,” he said, adding that Nutanix is excited that Lenovo is supporting this initiative. Paige Garner, vice-president of worldwide sales operations for the Lenovo Data Center Group, said the business has seen huge growth in customer count and revenue ever since they first partnered with Nutanix nearly three years ago. “We are a fast-growing partner for Nutanix and we look forward to continuing this growth with our work on the Velocity program,” she said. The Nutanix Velocity program is available now worldwide.